Wabash College invites you to hear Tasha Jones as she reads from her poetry at 8 p.m. Thursday, February 26, in International Hall of the Detchon Center. Jones’ visit is part of the Black History Program sponsored by the Wabash College Malcolm X Institute of Black Studies. Indiana’s 2008 Poet Laureate Nominee and the youngest nominee in state history, Tasha Jones, is synonymous with poetry in Indiana and around the country. This prolific writer brilliantly infuses everyday life experiences with scripture to create works that heal and empower. From performing to leading workshops, her words and works have had an impact on millions. The diversity in her writings garner hope and include topics such as HIV/AIDS, self esteem, drug addiction, culture and femininity, and juvenile incarceration. Jones is currently finishing a memoir entitled Hello Beautiful, an account of her experiences as an educator in the Indianapolis Public School system which focuses on the power of words and their impact on today’s youth and tomorrow’s future. 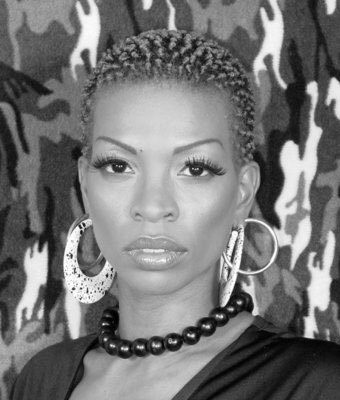 The Hello Beautiful movement and book led The Indianapolis Star, deeming Jones, as "The One to Watch" in 2008. Jones’s program is free and open to the public.